Creating parameters on your model which the user can adjust is an easy way of creating a product which they can make their own. In this tutorial we will learn how to define parameters for the script. You will use slightly different methods to describe other variable types, as we will soon learn. The "rangeMin" and "rangeMax" parameters define the lowest and highest values that can be put in, and step is essentially the units that you can add between them, essentially the smallest change allowed to the user. The value starts at defaultVal, presuming that defaultVal is within the range. // double: A simple number, with a decimal point. // enum: A specified set of string options. We will focus on doubles in this tutorials, but will go on to learn how to use other UI Parameters later. 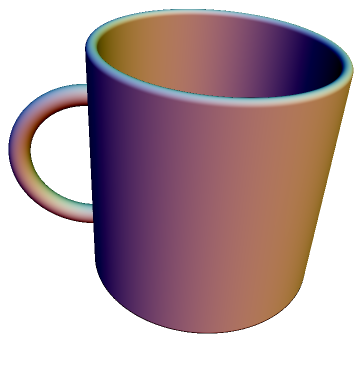 In ShapeJS we could model a coffee cup quite easily. However, it would just be one coffee cup, always. What if the shopper wanted to create an enormous coffee cup? Or adjust the thickness of the walls? We could try to create a bunch of different models for everything that a shopper might want from us, but that would be massively inefficient, and we could never hope to encompass every single possibility. We can now take this base and add customizability to it. First, we need to set up all the variables we want to be able to change as UI elements. Then we can simply replace the parts in our code with hard-coded values with UI parameter variables. UI parameters are normally contained in the args argument. Referencing a parameter, say a parameter with the name "height", is done with args.height. The cup can now be easily customized. 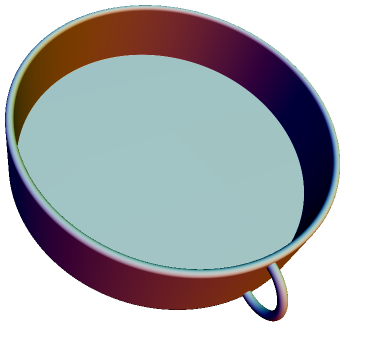 Try adding in a slider to adjust how scaled the torus that makes up the handle is--they are rarely true half circles. While we cannot have UI Parameters dynamically adjust one another, we can set up our maker to simply not allow certain combinations of values. Of course, it is best to inform the shopper of this. But it will allow you to avoid or lessen a maker's tendency to make unprintable things. Currently our mug allows for thicknesses of just 3 MM. This is fine if someone decides to make a very small mug. But what if they make the mug gigantic? We need to put in some limitations so that they don't end up with a very fragile mug. We also probably want to limit the handle size, relative to the cup's height. As you may have noticed, it can be set too large to properly connect. By using if statements, we can easily thwart the shopper's attempts to make unprintable objects.